I became a Pararoo this year at 15 years old. I feel very privileged to have been given the opportunity to represent my country at such a young age and to be playing the game that I love and am so passionate about. I was born in Ethiopia and came to Australia with my adoptive family when I was 6 months old. I have Cerebral Palsy which affects both my legs. Football has always been a huge part of my life - for me, there is no other sport. My journey to becoming a Pararoo started in 2016 when I was 13 and I attended my first NSW Paralympic training camp. When I was 14 I was selected in the NSW squad to play in the 2017 National Championships. 2018 was an amazing year for me. So many firsts - and so many amazing memories. 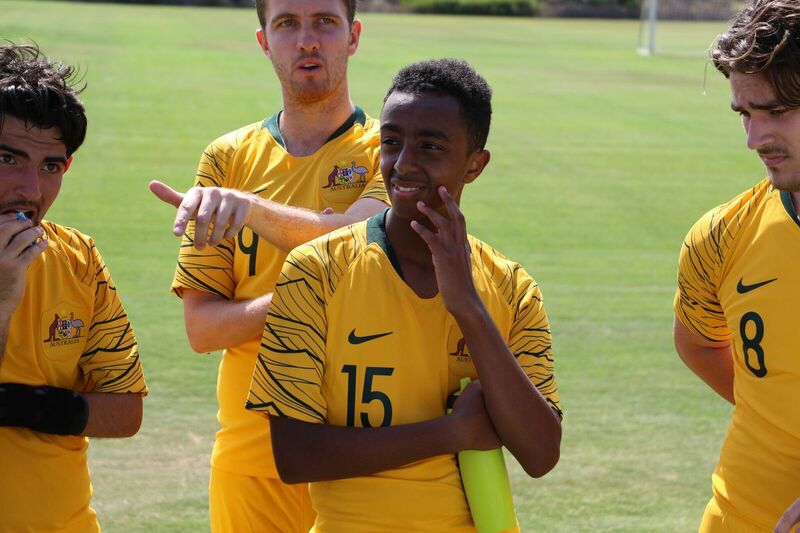 Playing in the National Championships in 2017 provided me with the opportunity to be selected to attend the Pararoos training camp at the start of the year. In July I was selected as a member of the 14 man Pararoos squad which travelled to the USA. Representing my country was something I had always dreamed of, and was such a huge, indescribable honour. My first cap for Australia was in the game against USA and it is a moment I will never forget- I came on as a sub and played for 20 minutes. I was nervous - it was daunting to be on the field with such experienced players- but my team mates were very supportive and gave me the confidence to step up and play my best. Playing in the USA was an amazing opportunity and provided me with invaluable experience competing against high ranking international teams. In November 2018 I travelled with the Pararoos to compete in the Asia Cup. All team members had trained and worked hard to earn selection. Under the guidance of our coaches Kai and Goran and Mike- we achieved success and qualified for the World Cup in Spain in 2019. I was so proud to be a member of the squad and so proud to be Australian. It was an honour to receive such a prestigious award, and I was very humbled to receive it in my first year as a Pararoo. I am grateful to Kai Lammert and the coaching staff for having the faith in me and for giving me the opportunity to be part of the National Squad. This award was also an acknowledgement to my family, my coaches and my team mates - in both Paralympic and able bodied football who have supported me over the years since my first game of football when I was 5 years old. I am proud to be a Pararoo, and I am thankful to be a part of the Pararoos family. My team mates and coaches support me, inspire me, challenge me and push me to aim high. I hope that players who aspire to State and National selection don’t let occasional disappointment stop them. I have always persisted and never given up - disappointment makes me try harder. 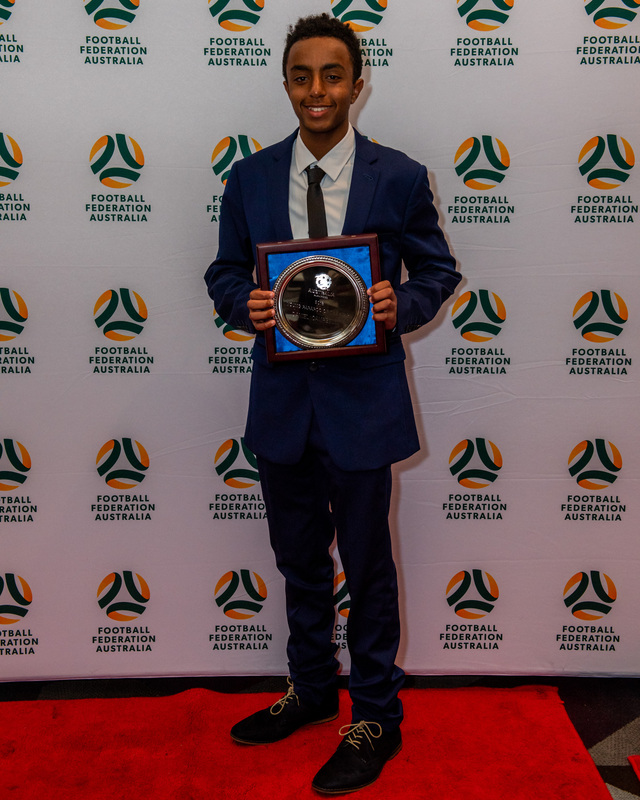 I have only been a member of the Pararoos for one year and already I have been provided with so many opportunities and experiences that I could not have imagined. I continue to train hard to improve my game and play my best so that I may continue to represent my country. I hope is that one day the Pararoos will be recognized in the same way as the Socceroos and the Matildas. Everyone can donate to the Pararoos – businesses, sponsors, football fans and everyday Australians - every dollar raised through the Australian Sports Foundation will go directly to the Pararoos. And every dollar over $2 donated is tax deductible. Donating to the Pararoos will not only help get the team to the 2019 World Cup, but it will also encourage many more aspiring disabled footballers, just like Daniel, to continue to strive for their dream. Join the squad. Donate here.